What's New on DC Universe: Mr. 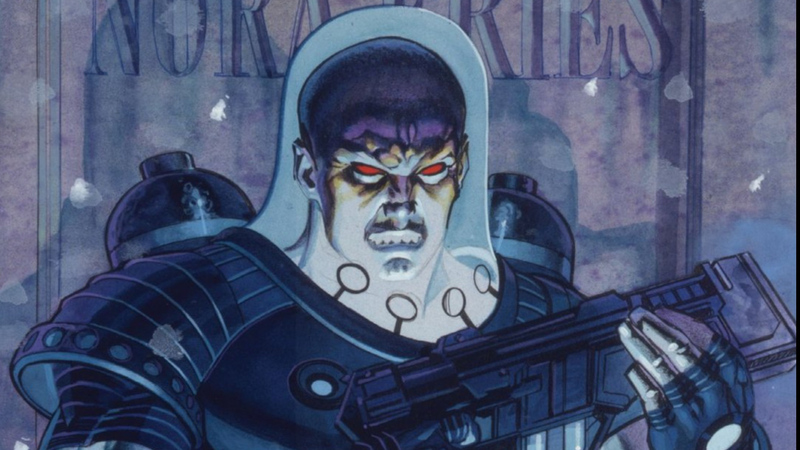 Freeze Sweepstakes and Donna Troy Week! As we say goodbye to November and head into December, it's starting to get a lot chillier, meaning it's the perfect time to enter "The Brave and the Cold" sweepstakes, centering around Batman's frozen foe Mr. Freeze! The winner will receive a Batman Ice Cube Tray, a Harley Quinn & Joker Ice Cube Tray, and a DC Comics Q-Fig Figure of Mr. Freeze himself (pictured above). There will be one winner, and you can enter via our News page, starting Friday, November 30th at 9am PST, and ending Friday, December 7th at 9am. So enter now, and don't get left out in the cold! Mr. Freeze is also featured in the 1997 film Batman & Robin, which returns to DC Universe just in time to usher in a chilly December this Saturday, the 1st of the month. It will be joined by the three Batman films that preceded it: 1989's Batman, 1992's Batman Returns (a holiday favorite), and 1995's Batman Forever. You watch all four films on our Movies page throughout December. Also this week, we are celebrating one of the most iconic Teen Titans of all time, the original Wonder Girl herself, Donna Troy, who makes her debut in this week's episode of Titans! (Watch "Donna Troy" here on Friday, November 30th.) Starring Conor Leslie as the Amazonian heroine, this episode marks Donna's first-ever appearance in live-action in the character's five decades. A true can't-miss moment in Titans history! Since we're celebrating all things Donna, we have a new poll starting Wednesday, November 27th. As Ms. Troy has worn a lot of amazing costumes over the years, you'll have the opportunity to vote on which of the original Wonder Girl's costumes is the best. (Check out our new feature on "The Evolution of Donna Troy".) Do you prefer her original '60s era toga? Her iconic red jumpsuit from her New Teen Titans years? Or are you a fan of the cosmic stardust number from the 2000s? We want to hear from you, so tell us which ensemble you think is best. Last but not least, remember to enter our "Donna Troy Through the Ages" Sweepstakes before it ends at 9am on Friday, November 30th! Are you excited to see Donna Troy finally come to life in live-action after all these years? Be sure to let us know in our Community!